AMD recently announced a new promotion similar to the Never Settle Reloaded bundle, which included AAA titles with their 7800 and 7900 series of graphics cards. The new TressFX bundle includes a bottle of AMD TressFX branded shampoo for gamers. The new shampoo maintainsa fresh scent for up to 30% longer, and reduces the time needed for a shower as gamers need to get back in the game as soon as possible. AMD claims that replacing the stock thermal compound on the graphics card will reduce the temperature of the card by up to 20 degrees Celsius*. Ok, I lied. 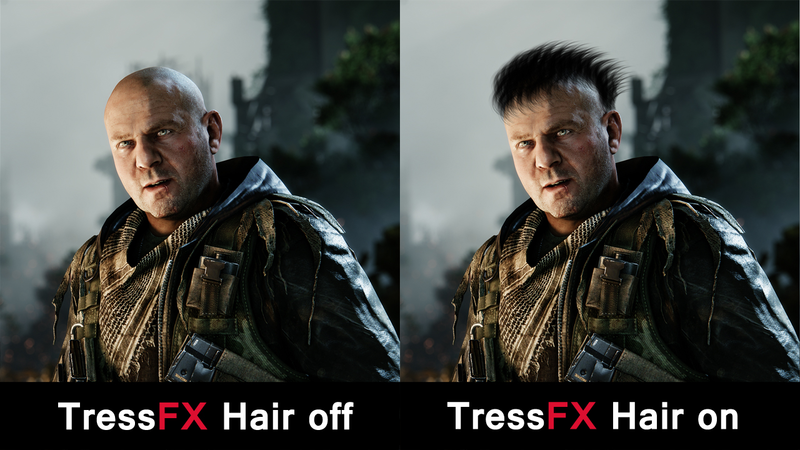 TressFx is actually a new technology co-developed by AMD and Crystal Dynamics.This new technology was designed to render hair more realistic, with the addition of new “hair” physics. This technology could possibly be later implemented for foliage,flying newspapers, and furry donuts as well. TressFx will be implemented in its first game on March 5th, 2013, with the franchise reboot of Tomb Raider by Square Enix. TressFX will use individual locks of hair instead of pre-rendered textures that was stuck on some large polygons. This means more GPU horsepower is used towards making pointless things prettier. Nonetheless, it is a great advancement in graphics and makes games even more realistic. TressFX taps into DirectCompute to unlock the part of the GPU that does the math calculations to render the individual strands of hair. The toolset is built upon AMD's Order Independent Transparency (OIT) and uses Per-Pixel Linked-List (PPLL) data structures to manage the rendering complexity and memory usage. DirectCompute is also used to make the hair not only look realistic, but behave in a realistic manner as well. Motion, wind, and water will in turn affect how the character’s hair behaves. The improvements with TressFX is rather stunning, completely changing a characters apearance. *This claim is false and was never stated by AMD or anyone associated with AMD. [blank]'s universe will not be held liable for any damages caused to any graphics card by attempting to replace thermal compound material with shampoo.